MPG has been hitting the headlines in recent months. 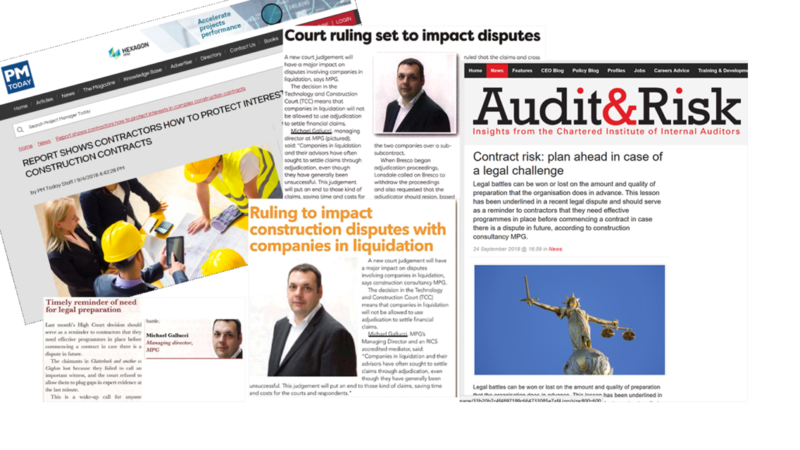 Our expert opinion pieces on two landmark court rulings were covered in print and online on channels including Audit & Risk, Business Link and CCR Magazine. Meanwhile, the launch of our new report on Construction Claims and Defence made the pages of Project Manager Today. You can download the report for free here. For more information about the latest court rulings and other developments in construction, see our news section.